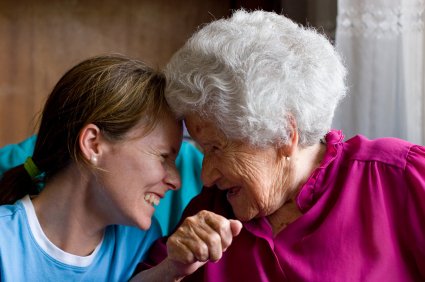 Hospice care is provided wherever a patient calls home. Approximately 35% of all hospice care in America is provided in nursing facilities (nursing homes). 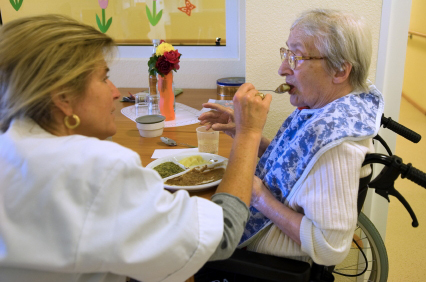 It is estimated that another 10% of hospice care is provided in assisted living facilities. In order to learn more about the use of the hospice benefit in nursing facilities and outcomes of care, the U.S. Department of Health & Human Services undertook a major study of the issue entitled, “Synthesis and Analysis of Medicare's Hospice Benefit”. This study documented for the first time important benefits to the resident and the nursing facility resulting from successful collaboration between hospice providers and nursing facility providers. The findings regarding reduced acute care admissions prior to death are impressive because of the quality of care and cost saving implications. The table below shows the percent of patients with acute hospital stay immediately prior to death. These findings support our view that residents in nursing facilities receiving hospice care experience a higher quality of life at the end of life. There are many ways in which nursing facilities can provide high-quality end-of-life care that is consistent with residents' wishes. Successful approaches can include developing a facility statement regarding end-of-life philosophy; using palliative care protocols that define appropriate pain management; and documenting the goals and wishes of a resident at the end of life. Offering hospice care, when appropriate, is also a strategy that reflects a facility's commitment to these goals. When a nursing facility enters into a contract with a hospice provider, many different types of benefits will accrue. The hospice interdisciplinary staff is available as a resource to facility staff, at the same time they are providing care to the resident.